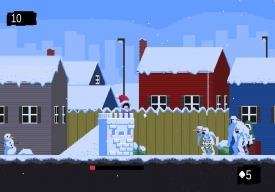 Snowday is a game where you play as a young girl named Maggie who has made a snowman that she is very proud of, but the neighborhood bully has other plans and wants it destroyed, he sends an army of evil looking snow creatures to try and destroy your snow man while sitting looking suspicous in the background. You will need to climb up on the turret of the snow castle and try to fend off this icy army for as long as possible and to protect your snowman, however if you only have a limited amount of snowballs and will need to run to your snowman to collect more whenever supplies are running low. Snowday is a fairly straight forward game that is pefect for this seasonal time of year, it is suitable for gamers of all ages (although some of the enemy snowmen can look quite threatening) and is pure and simple fun with snowballs and lots of winter fun. 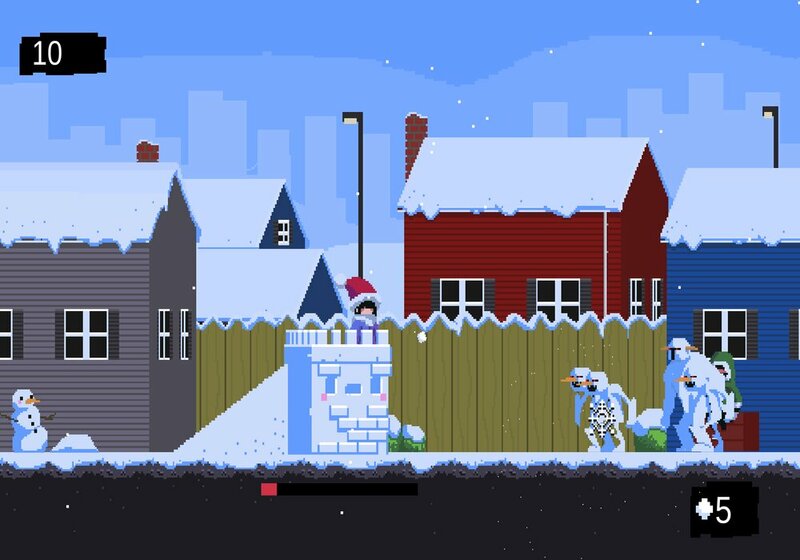 A game that can be enjoyed by all players and one that is well worth checking out, can you protect Maggie's snowman from the ever uncreasing amount of onrushing enemies and stop it from being destroyed by the local bully? You can download Snowday here for free.